Come September and most of us start cleaning, checking the furnace to ensure it survives through the months of fall and winter. Maintaining a furnace does not require a professional hand every now and then. You can do it yourself from time to time. Of course, getting it serviced once a year is important; it will detect faults which will not attract the eyes of a layman. Here are some simple DIY steps of furnace maintenance that will warrant a safe and perfect functioning of furnace all through its lifespan. •	Filters are one of the most important parts of furnace. They need changing or cleaning at frequent intervals. This is because they filter the air of pollens, dust, allergens, and microorganisms too. 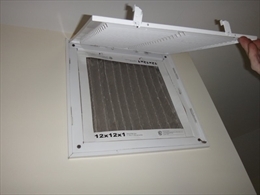 They become clogged over time and restrict air flow. This can lead to multitude of problems. •	After filter comes the thermostat. It can be equated to the brain of the furnace. A thermostat samples the room air and determines the level of heating needed. You can also set a temperature at the thermostat. It then directs the furnace to generate the demanded heat. A non- functioning thermostat will also lead to breakdown of the furnace. Therefore ensure that the batteries of thermostat have not run out. Its terminals are connected to appropriate wires. If your blower fan does not turn off or the furnace is cycling off too frequently, check the setting of the thermostat. The fan should be set at ‘auto’. If you set a speed limit for the fan it will run continuously. •	If the furnace doesn’t seem to produce enough heat, check the thermostat’s setting. It should be set at heating mode, a few degrees higher than the room temperature. If this does not work, you might need to buy a new thermostat. Buy one that is compatible with your furnace unit. •	Sometimes a furnace shuts down completely. The thermostat’s scree also goes blank. In such circumstances check for a tripped breaker or a blown fuse. Also make sure that power is reaching the furnace. •	Some furnace models still run with a pilot light. Sometimes cool air getting inside the house disturbs the pilot light. Do not panic, just close the windows or prevent the draft by clogging the leaks from where air is seeping in. •	Some furnace units must be lit by hand if the pilot light goes out. Never attempt it for an electric ignition. •	If you find a problem in ignition control or pilot light then it may be due to faulty or clogged components. In case of a gas furnace you can clean the orifice of the pilot light. Clean the tip of the orifice with sandpaper. Remove all signs of rust and oxidation. Push a small, stiff wire through the opening on the pilot to dislodge any clogs. Blow compressed air through it and remove all loose materials. As for electronic ignition control, for any faulty operation consult a professional. •	Also check if the flame sensor is working. 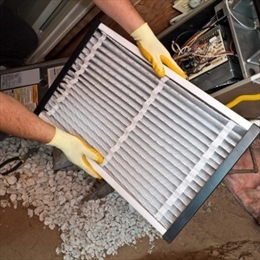 Inspect the heat exchanger and the flue for excessive rust, cracks, or holes. You have to depend on your naked eyes. A professional would use inspection cameras and dye penetration inspection systems. •	If you want to upgrade your furnace always consult a professional about right size and type. Always get the furnace professionally installed for best efficiency. •	Check the blower and vacuum out and dust or debris in and around the unit. Lubricate the blower motor. Also check the belt of belt-driven motor. Adjust it if needed. If it has cracked or frayed, change it. •	Now check the burner for corrosion by removing the flame shield. Also check the flames by putting the fan off and on. •	Take a look at the flue to ensure that it is venting properly. •	The valve of furnace is pivotal component of the unit. It is the opening of the valve that releases the fuel to the burner for ignition. The valves of furnace are connected through electric wires to an electronic component known as a solenoid. The solenoid received signals from the thermostat about generating heat. Once it gets a signal for heating, the valve of the furnace widens to release fuel. Testing with a multi meter lets you know if the valve works. To do it, begin by turning off the furnace. Let it cool if you were using it. Now locate the gas valve. It will be near the bottom of the unit almost adjacent to the pilot light. You will see two wires clipped to the solenoid terminals of the gas valve. Pull of the wires from the terminals. Hold each test wand of the multi meter to one of the terminals on the gas valve. Reading will be in the range of 145 to 195 millivolts. If the reading is outside this range, it indicates that the valve requires replacement. •	Furnaces are susceptible to Carbon Monoxide (CO) leakage. CO is odorless and colorless that can cause dangerous illnesses and death if inhaled over a length of time. You should have a CO detector in the house to detect leakage of CO from the furnace. If you find the flame all yellow, the pilot light needs to be inspected. It could also be due to carbon monoxide leakage.